Filing a tax return is a matter of following the line-by-line instructions that come with your tax form. 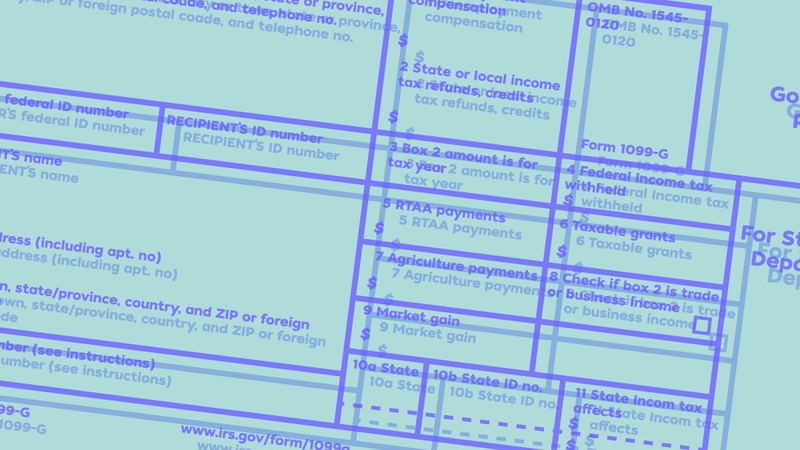 Each form has its own set of instructions, and includes a number of charts and worksheets to help you figure out if you're eligible for credits, deductions, and exemptions. But before you begin to deal with a tax form, it's smart to understand the ins and outs of your yearly income. The first lesson to learn is that taxes are figured by reducing your income, factor by factor. If you have farm income, rents, retirement and Social Security payments, and gambling earnings, they all might be included in your gross income. You start with your gross income, then subtract your adjustments to get your adjusted gross income, and from that number subtract your exemptions and deductions to find your taxable income. The term gross income refers to all the taxable income you have in one year. That includes earned income, such as salary, wages, and tips, plus sick pay, unemployment wages, strike benefits, and certain fringe benefits. Gross income also includes investment income (or unearned income), which is your capital gains, interest, and dividends. If you have farm income, rents, retirement and Social Security payments, and gambling earnings, they all might be included in your gross income as well. If you lose your job, you'll still be taxed on the unemployment income you receive. At the end of January, you'll receive a Form 1099-G, which shows your unemployment income for the previous year. Tips are also taxable income. You have to pay taxes if your employer doesn't withhold on your tips. If you lose your job, you'll still be taxed on the unemployment income you receive. Calculating your tips is not an easy task, unless you keep very detailed records of the amounts you receive. The IRS projects the estimate you're likely to receive based on the type of job you have, and expects you to report and pay tax on at least that amount. If you keep careful records and calculate a smaller total than the one the IRS expects, you can dispute the IRS assumptions. Once you've figured out your annual gross income, you'll need to calculate your adjusted gross income, or AGI. You do that by subtracting adjustments, or certain amounts you have spent, from your gross income. The most common adjustments include contributions to IRAs or self-directed retirement plans (like Keoghs or SEPs), half of any self-employment tax you paid, qualified moving expenses, and alimony you've paid. If your AGI is higher than the limit set by Congress, you won't be allowed to deduct your IRA contribution, and your total exemptions and itemized deductions may be limited. After you calculate your AGI, you can figure your taxable income by subtracting certain exemptions and deductions to which you're entitled. Each exemption is a fixed dollar amount, and typically increases from year to year. Unless your income is more than the government limit, you get one personal exemption as a single taxpayer and two as a married couple. You also get one exemption for each dependent. You can also subtract the standard deduction—again, a fixed dollar amount—or itemize all of the qualifying payments you've made during the year and subtract that total. Some itemized deductions include home mortgage interest, real estate taxes, and state and local income taxes. Your refund or tax payment depends on what you've paid versus what you owe in income taxes. Basically, if you paid more than you owe, you'll receive a refund. Otherwise, you'll have to pay whatever the balance is. If you're getting a refund, you can either get a check from the IRS for the amount you're owed, or apply part or all of the refund to your taxes for the coming year. If, on the other hand, you owe a payment to the IRS, you must pay it by April 15. Otherwise, you will most likely have to pay interest and a late-payment penalty. If you file a simple return (such as a 1040EZ, or a 1040 with no itemized deductions and with an income below $100,000) and send it in by April 15, the IRS will calculate your refund or payment for you.